To make your dearest one happy instantly, this cute gift is never to let you down. 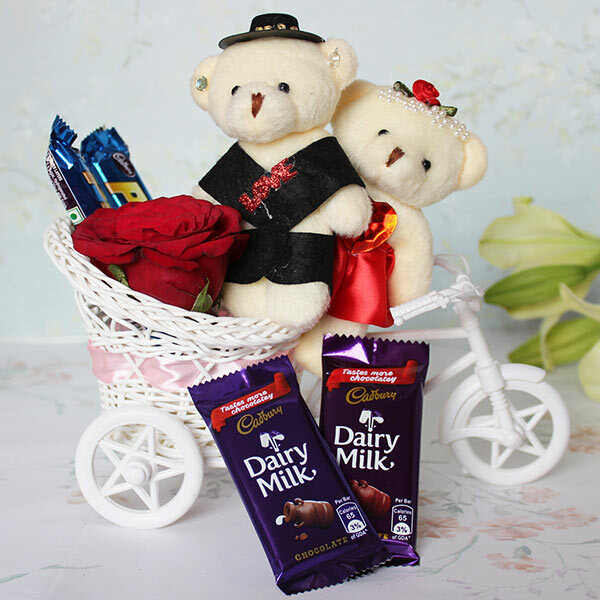 It’s a gift combo that is full of little surprises like a decorative white Cycle with a basket carrying cute little Teddy couple with yummy chocolates and an artificial Red Rose. Find it as perfect token of love to win dear one’s heart on a special day.